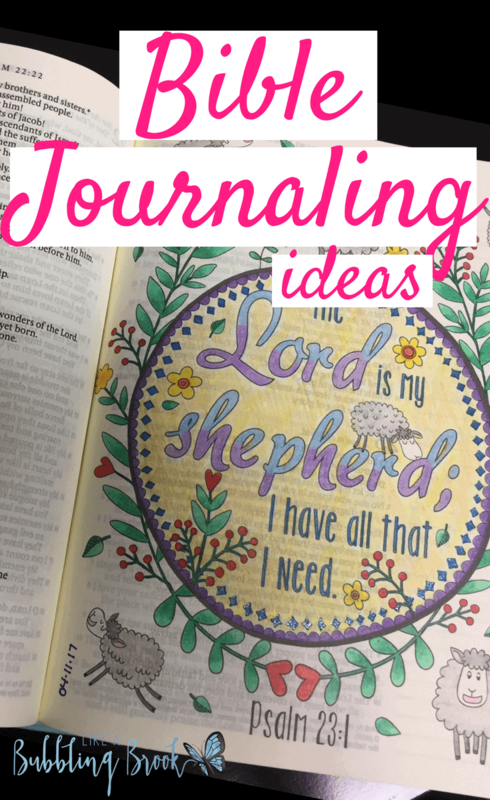 Are you interested in Bible journaling ideas? 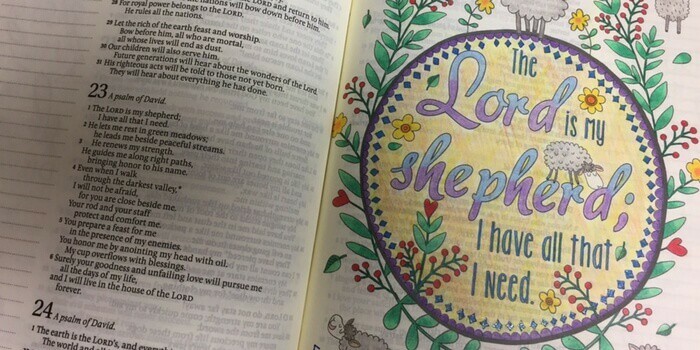 Learn the basics of Bible art journaling with these beautiful examples and tips for beginners. 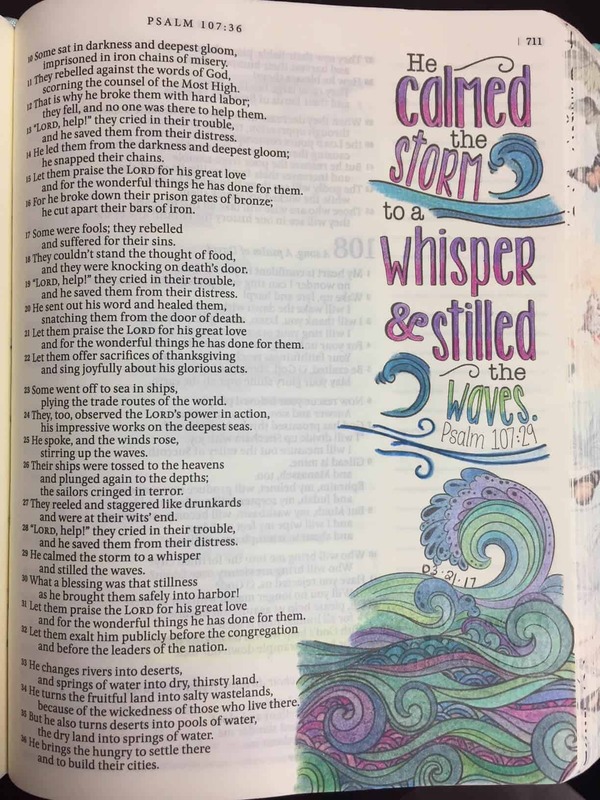 Bible Art Journaling (BAJ) is a new craze that I have fallen in love with. My husband and our two daughters are artistically gifted, but alas, I am not. That gift seemed to pass right on by me. If you, like me, do not consider yourself an artist, don’t be intimidated to branch out and do more than just coloring pre-printed pages. As I learned more about BAJ, I realized a lot of people buy tracing stencils, or they find a picture on the internet, print it, then trace it in their Bibles. There are tons of inspirational ideas on Pinterest. Also, I discovered the YouTube channel of Rebekah R. Jones. 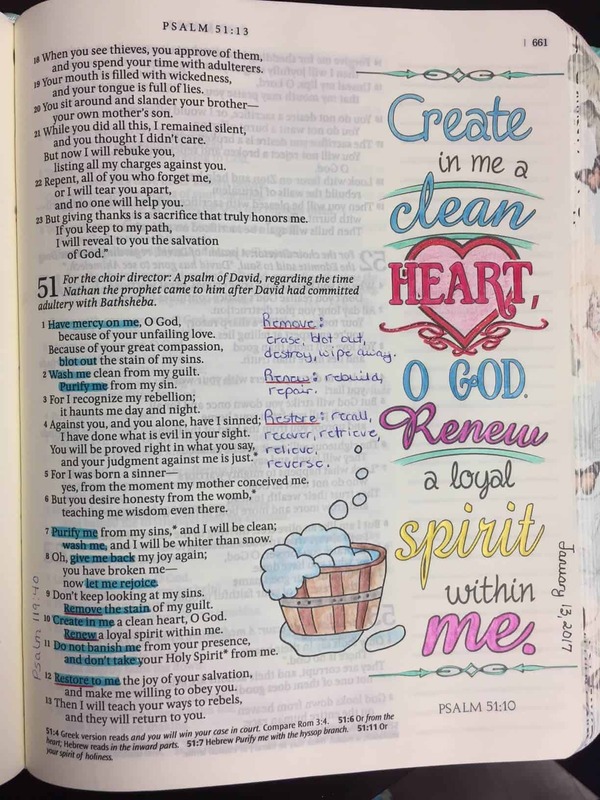 She has a ton of Bible journaling ideas available, ranging from what tools to use, to prepping your Bible pages should you decide to be brave and try watercolors or markers on your pages. Check out her website at www.rebekahrjones.com. Also check out www.illustratedfaith.com. There are also some great Facebook groups for BAJ lovers. 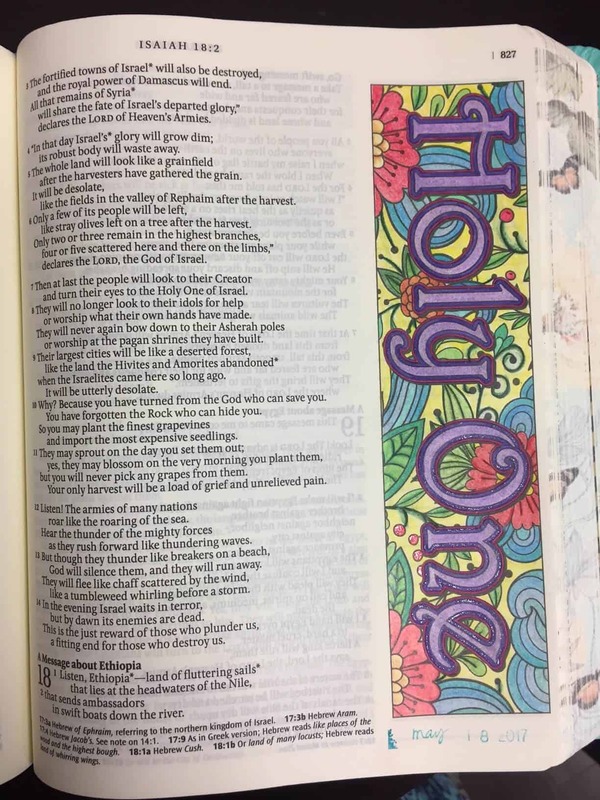 Some would ask, “Why would you color in your Bible?” In fact, some people feel it is disrespectful to color in God’s Word. 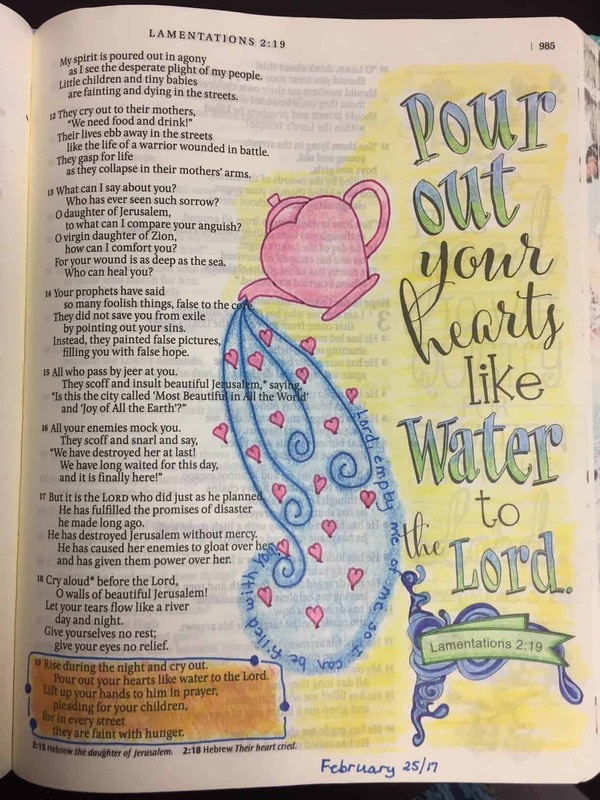 Since I am a visual learner, I have found Scriptures stand out in my mind now because of the coloring/artwork I have done for those Scriptures. I literally picture the Scripture in my mind. 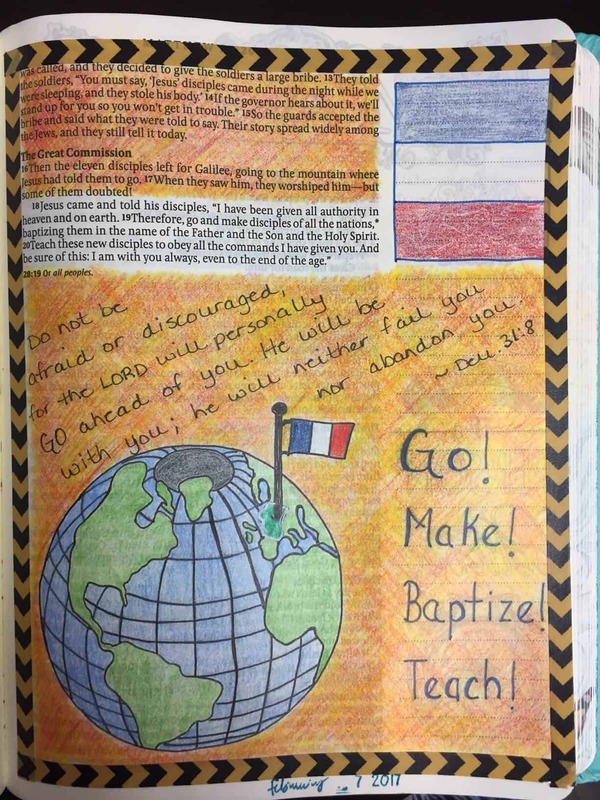 If you would prefer to not color in your Bible, you might consider doing BAJ in a regular art journal. 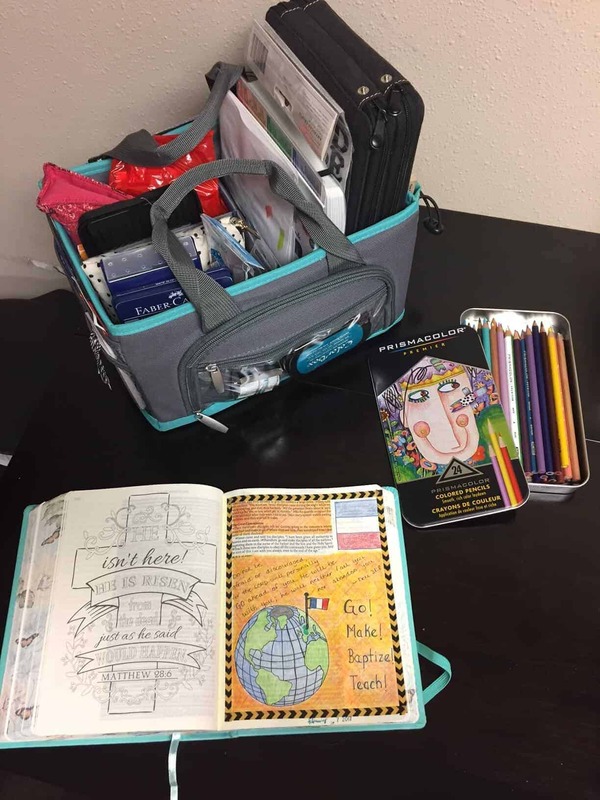 I’ve even seen some beginners just use a regular school notebook to get started. I hope this article might have inspired you to look into BAJ. Better still, I hope you’ll ask for a Journaling Bible and some pencil crayons for your next birthday, or for Christmas! Happy coloring! Crystal Wallace is wife to Kevin, mother to Rachelle (and Daniel), Chantal (and Jarrod), and Nana to Maleah and Jude (who will be making his entrance into this world any day now.) She loves scrapbooking, coloring, reading, puppies, Pinterest, and French macarons. She and her husband are newly appointed missionaries on their way to the Republic of France. « What Does The Bible Say About Money Management? Ty sso very much for the eeb artitstry pahe yes it is a blessing ! !